Smart Reminders remind you to pay your bill on time, every time. 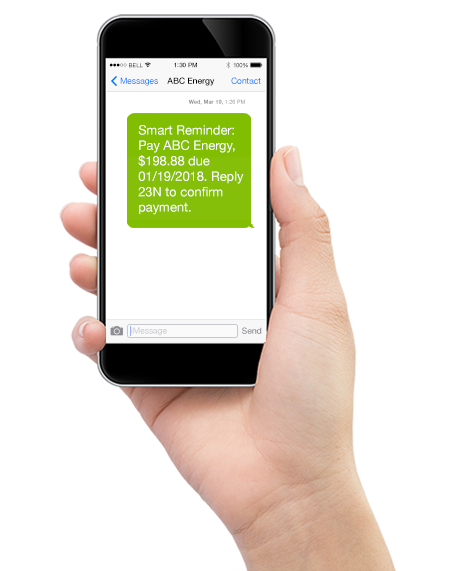 Receive a friendly email or text message that alerts you to the payment amount and due date. This feature also enables payments to be made directly from the text notification, making your bill payments just as easy as clicking “Send”. Technology has taken cards out of our wallets and moved them into our phones. 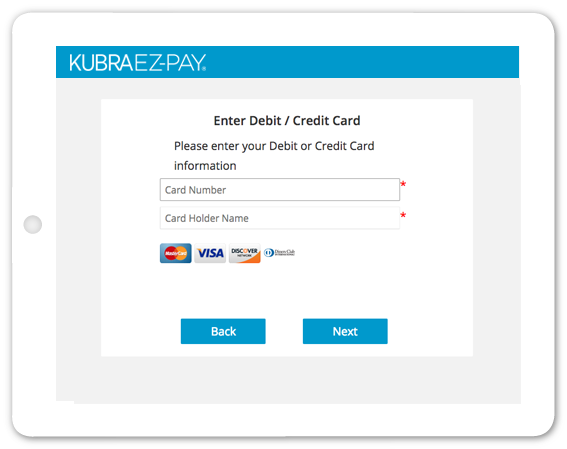 With the KUBRA EZ-PAY account Digital Wallet, you can securely store your preferred credit cards, debit cards, and bank account details to make the process of paying your bill every month faster than ever before. Notice a drastic change in payment amount since last month? Looking over previous bills can help you understand why. 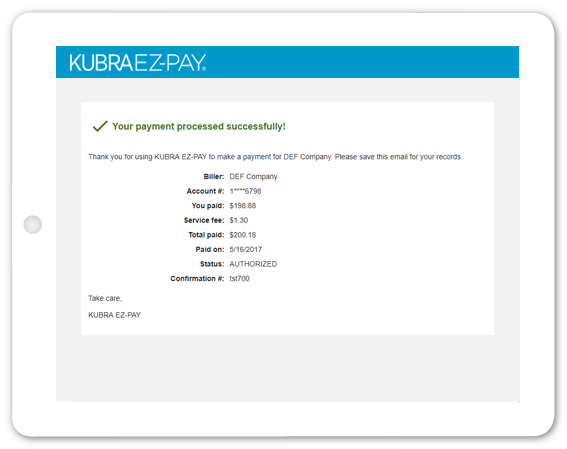 Your KUBRA EZ-PAY account will store six months of bills to help you keep track. Bill History offers quick access to a digital copy of your bill and allows you to save the image and share it with others.